Rated the 42nd best public golf course in the nation, at Shepherd's Hollow seeing is believing. Set on more than 350 rolling acres, at one of the highest elevations in Oakland County, Shepherd's Hollow is among the most unique golfing experiences in the state of Michigan. The sprawling metropolis of Detroit loves its cars. As the epicenter for the automobile industry in the U.S. and home to Ford, Chrysler and General Motors, whether you're into old cars, new cars, classic cars or street rods, you'll get your fix here with the Ford Mansion, the Automotive Hall of Fame, the Walter P. Chrysler Museum and many other sites. A city of many facets, Detroit also gave us the sounds of Motown and techno. Whereas most serious golfers in the Detroit area used to belong to a private club such as the Detroit Golf Club, Oakland Hills Country Club or Franklin Hills Country Club, today things are different. There is no doubt Detroit has suffered economic woes with the downturn in the economy and in particular, the auto industry, but the good news is there is some good golf to be played at semi-private or public courses, the most highly rated built within the past 12 years and characterized by enormous undulating greens, major bunkers complexes and wide landing areas. Detroit's newer tracks are located in the suburbs, places like Ann Arbor, Mount Clemens and Dearborn. There is Blackheath Golf Club with knee-high feathery fescue, Cherry Creek Golf Club with a private-club kind of clubhouse serving an incredible brunch, Fieldstone Golf Club an exceptional muni with an Arthur Hills pedigree, Shepherds Hollow Golf Club, another beauty by Arthur Hills, and the Orchards Golf Club, a bunker-loaded RTJones Jr. design that likes to tout its private club experience with its motto, "Your Club for a Day". Other notable courses include the Westwynd at Windgate Country Club, Lyon Oaks designed by Arthur Hills; Greystone Golf Club built in a former gravel quarry; Moose Ridge Golf Club, a local favorite; Tanglewood Golf Club with 27 holes; Boulder Point Golf Club with three distinct nines (Peaks, Dunes and Bluffs) and sizable elevation changes; Northville Hills, by Arnold Palmer; Copper Hills Golf & Country Club, rated #3 best public golf course in the state; Pine Trace Golf Club in the Rochester Hills by Arthur Hills; and Rackham Golf Course designed by Donald Ross. In Detroit, golfers will have no problem finding golf to challenge their game and sense of aesthetics. 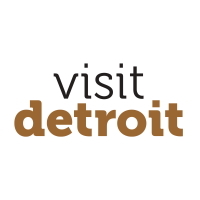 TripAdvisor.com provides a destination guide for Detroit complete with reviews, things to do and deals on restaurants, flights, and lodging. Looking for hotel rooms in and around Detroit? Looking to travel to Detroit? Looking to travel and golf in Detroit? Looking for Detroit lodging for an upcoming golf trip? Plan your visit online through TripAdvisor.com. Search for hotels, flights and attractions and more. Get specials deals, low rates and a convenient way to plan. Planning has never been this easy. Been to Detroit? Write a review to help future golfers plan their golf trip.